A blend of mashed chick peas, tahini, olive oil and spices. 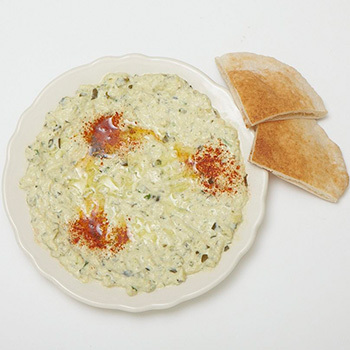 Served as cold dip with Pita bread. 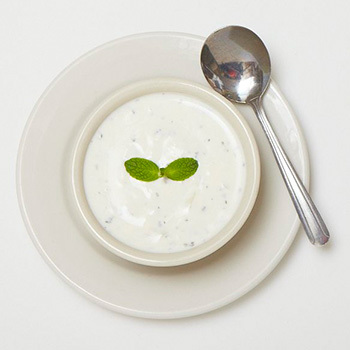 Mashed grilled eggplant blended with yogurt, tahini, parsley and olive oil. 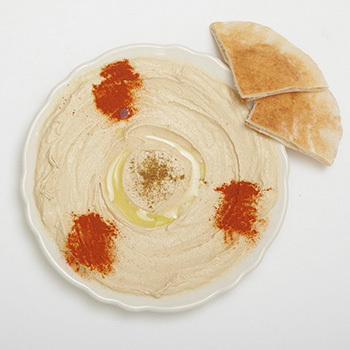 Served as cold dip with Pita bread. Mashed charcoal grilled zucchini blended with yogurt, tahini, parsley and olive oil. 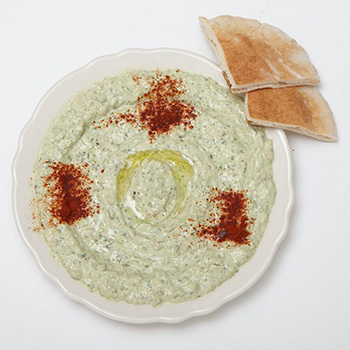 Served as cold dip with Pita bread. A salad with homemade yogurt, cucumber and mint. 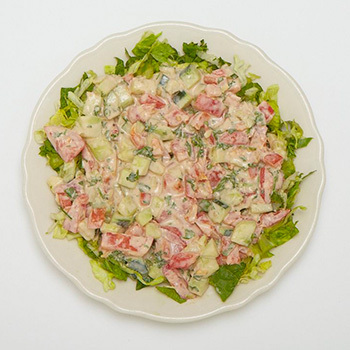 A salad made from diced tomatoes, cucumber and parsley, dressed with tahini sauce. 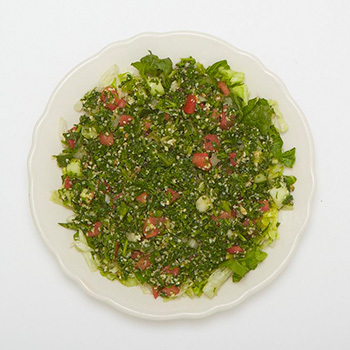 A salad made from fava beans and fresh diced vegetables with olive oil. 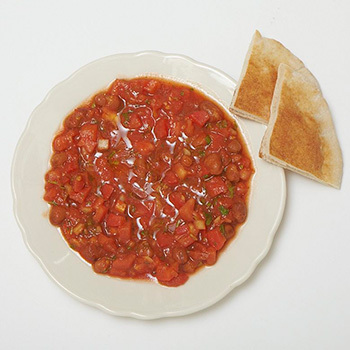 Served cold with pita bread. 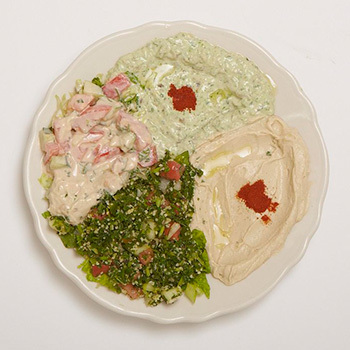 Hummus, Baba Ghannouj, Jerusalem Salad & Tabouleh Salad. Cold veggie appetizer stuffed with rice and vegetables. 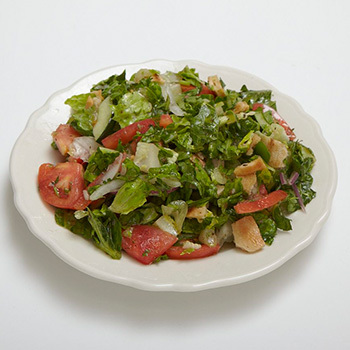 A salad made from romaine lettuce, tomatoes, cucumber, parsley, onion and toasted pita bread. 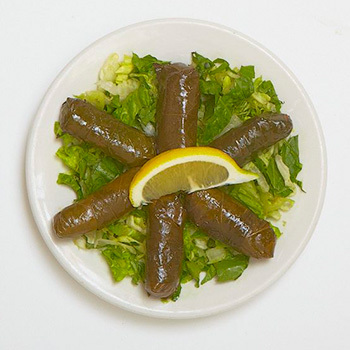 Served with olive oil and vinegar. 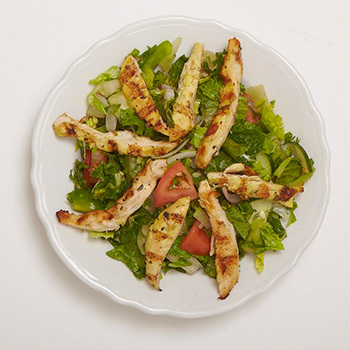 A salad made from fresh mix veggies topped with diced tender chicken. Served with ranch dressing.